Swedish craftsmanship is all about the unique details that together make the experience more enjoyable. Nowhere is this more evident than in the full range of cars and SUV’s from Swedish luxury car manufacturer, Volvo. 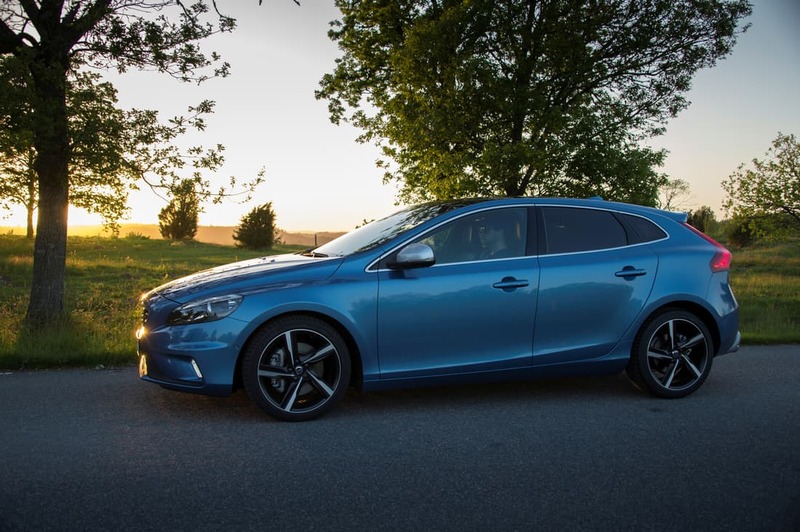 The versatile Volvo V40 is Volvo’s biggest selling model, thanks in no small part to its wide range of talents, which makes the car appeal to a wide variety of customers. 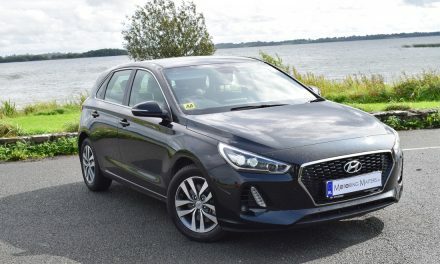 Available only in 5-door guise, this ultra-stylish luxury hatchback counts the Audi A3, Mercedes-Benz A-Class, BMW 1-Series, Mini Clubman and the VW Golf amongst its competitors. My test car was a recently revised Volvo V40 D2 Inscription in dazzling Crystal White metallic paint. This Euro-6 turbo-diesel engine produces 120bhp and an impressive 280Nm of torque. Annual road tax is just €180 thanks to extremely low emissions of just 94g/km. Outstanding fuel efficiency as low as 3.6l/100km (on a combined driving cycle) really does make the Volvo V40 an excellent financial proposition. 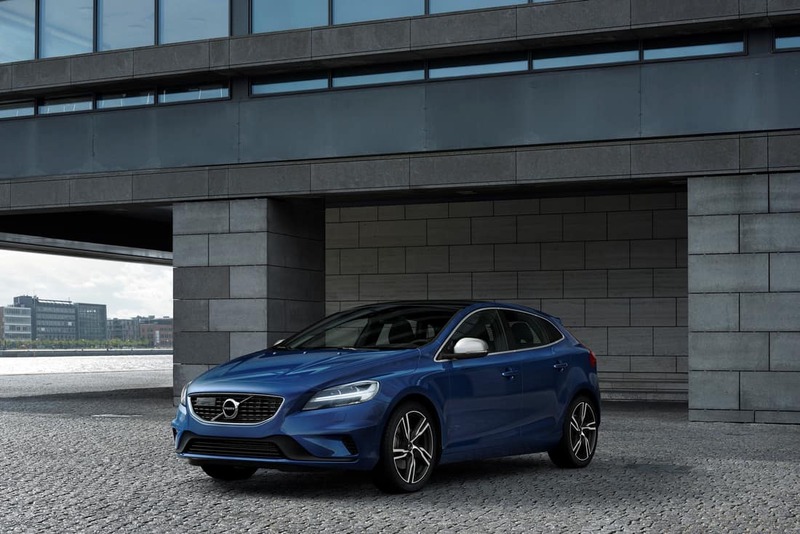 The revised Volvo V40 benefits from new T-shaped (Thor-Hammer style) headlights, which give the car a wider, more athletic stance than ever before, while also bringing the V40 in line with the latest generation of Volvo cars and SUV’s. An updated front grille design gives the V40 a dynamic & youthful edge while still maintaining the cars distinctive character. Completing the revisions is an extensive range of alloy wheel designs. 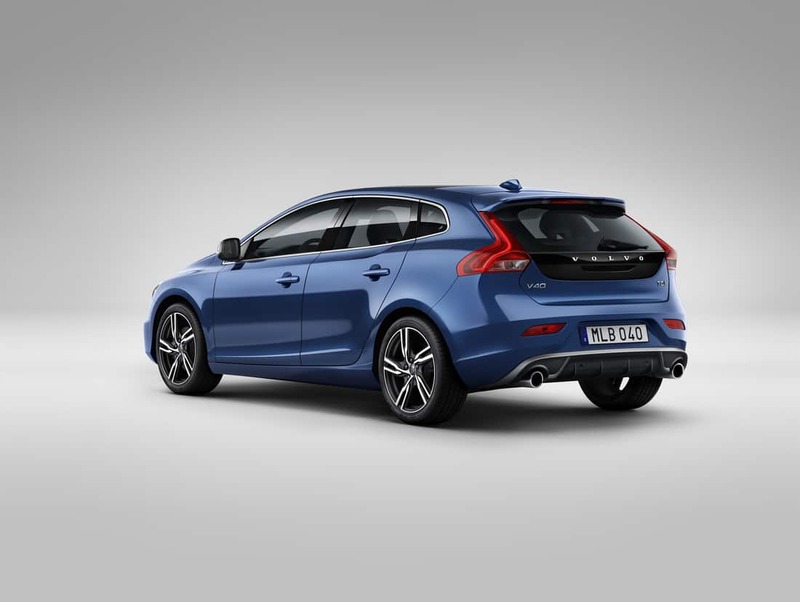 Two petrol engines (T2 & T5) and three turbo-diesel engines are available in the Volvo V40 range. 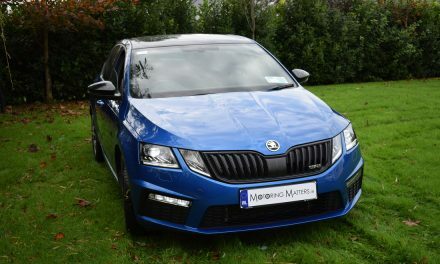 The vast majority of sales will be in the diesel category, with power of 120bhp (D2), 150bhp (D3) or 190bhp (D4) being available. A smooth & precise 6-speed manual gearbox is standard, but an automatic gearbox is available in some models. Five specification levels are available in the V40, namely – Kinetic, Momentum, Inscription, R-Design and Cross-Country. Every model comes with a high level of standard safety, comfort, convenience and technology features, while my mid-spec test car also included a ‘style pack’ (rear parking camera, 12.3” Active TFT Crystal Driver’s Information Display, illuminated gear-knob & auto-dimming rear view mirror), a fixed panoramic sunroof, space-saver spare wheel, dark tinted rear windows, 18” Navi (Diamond Cut/Black) alloy wheels and a 62-litre fuel tank. With some of the most advanced safety features yet seen on a compact executive hatch, the Volvo V40 is a safe and secure car to be in as a driver or as a passenger. The knowledge that Volvo have always been to the forefront of vehicle safety inspired confidence in me every time I drove my Volvo V40 test car. On top of all this, Volvo truly believe that when Scandanavian design meets modern Swedish craftsmanship the result is a look that is always ahead of its time. The revised Volvo V40 is no exception. With its upmarket looks, supreme refinement and class-leading safety features, Volvo V40 drivers have never had it so good. 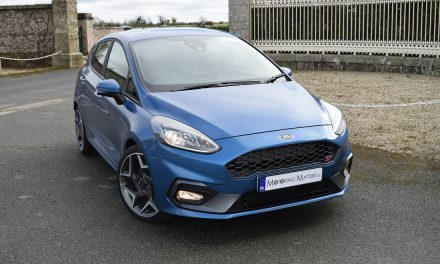 Prices start at just €28,245 (ex works).